According to the National Retail Federation, families with school-aged children will spend about $634 per household, on back-to-school apparel, electronics, shoes and supplies! 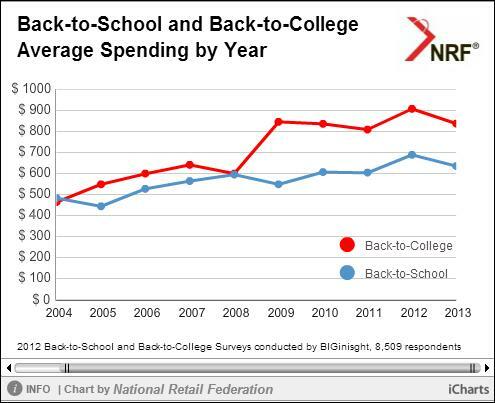 That’s a back-to-school spending of $26.7 Billion across the USA. If your business offers back-to-school products or services, now’s the time to launch your back-to-school direct mail marketing campaign! Most school-aged children will head back to school in mid-August to early September. Make sure families in your area know about your upcoming sales and events, so they keep you in mind when they’re planning their back-to-school shopping trips; and don’t forget to include a persuasive offer or discount that they can’t refuse – you want to lure families into your store, instead of your competitors! Find a mailing list of Families with Children in your area. Get help designing/printing/mailing your Postcard campaign. 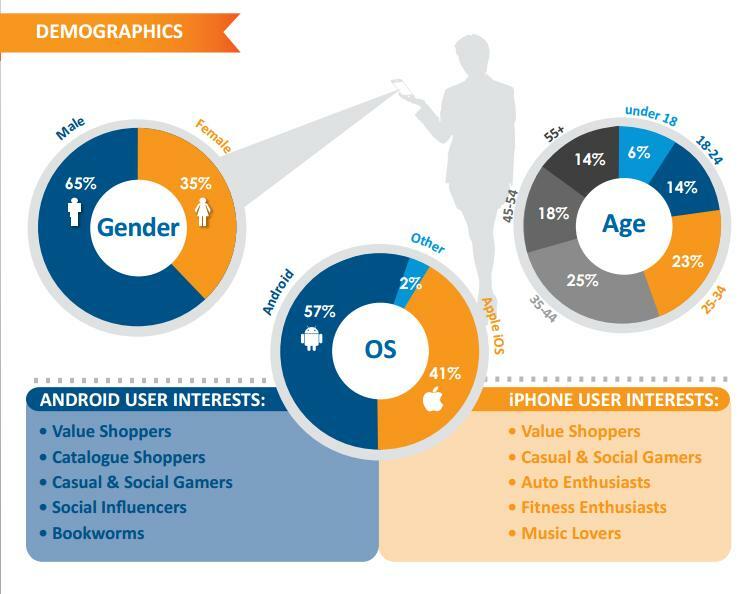 Mobile Barcodes: Who’s Using Them? Mobile Barcodes (otherwise known as QR Codes / Quick Response Codes) are popping up all over the place. 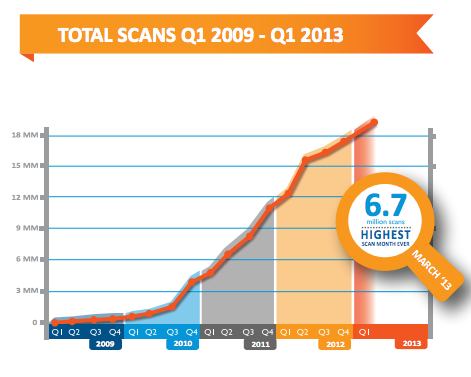 ScanLife, one of the largest global providers of mobile barcodes, just released a quarterly report that indicates that in March 2013 they reached an all time high, of 6.7 million scans in just 1 month. You can see from this graph how the trend is growing exponentially, year after year.